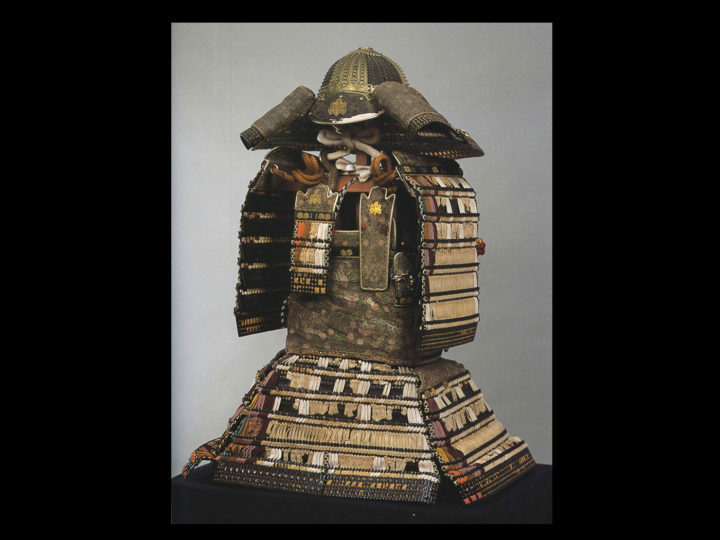 This is a very nice suit of armor from the middle Edo period. 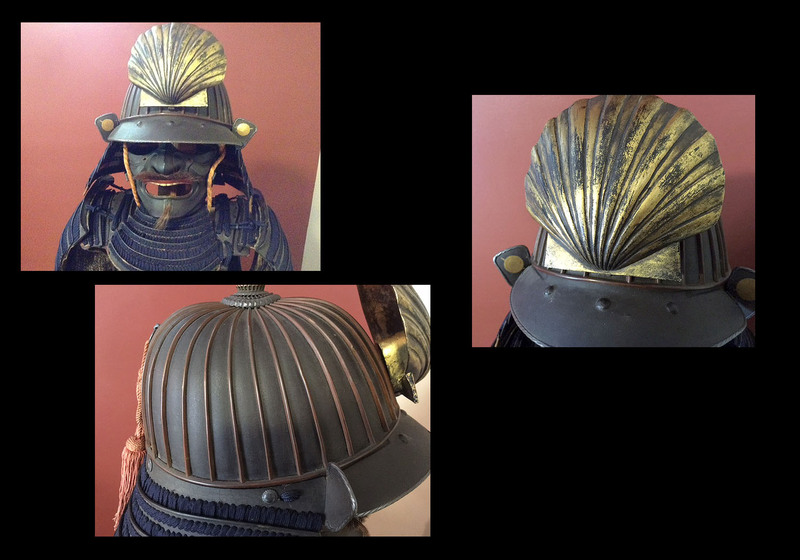 The helmet is an unsigned 32 plate russet iron suji kabuto with a five stage teihen. 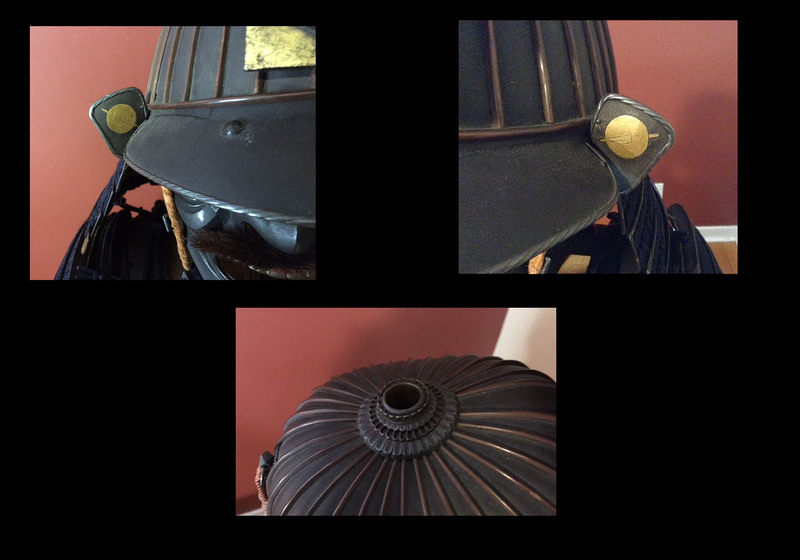 The visor (mabezashi) is attached to the kabuto with three large rivits and the edge has a silver fukurin done in a rope pattern. You will note that this same silver edging is carried out throught the armor at the top edge of the do (main body armor). It has a five lame shikoro with the top lame having fukigaeshi bearing a family mon. 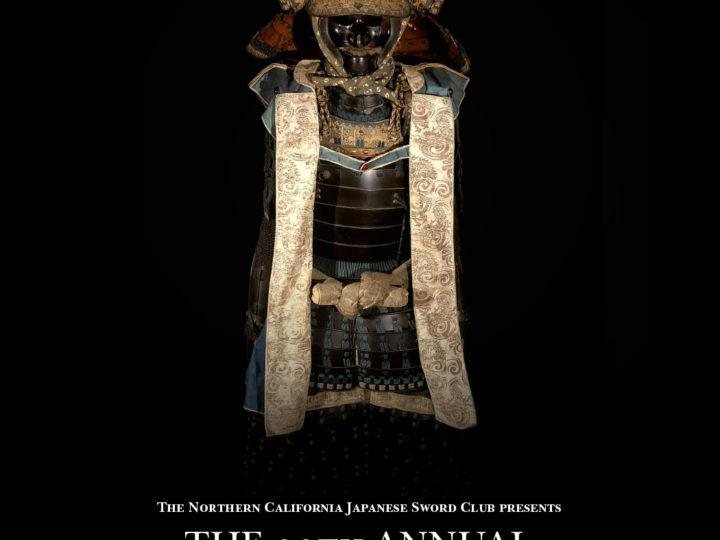 The bottom lame has inome (boar’s eyes) located on the bottom front. 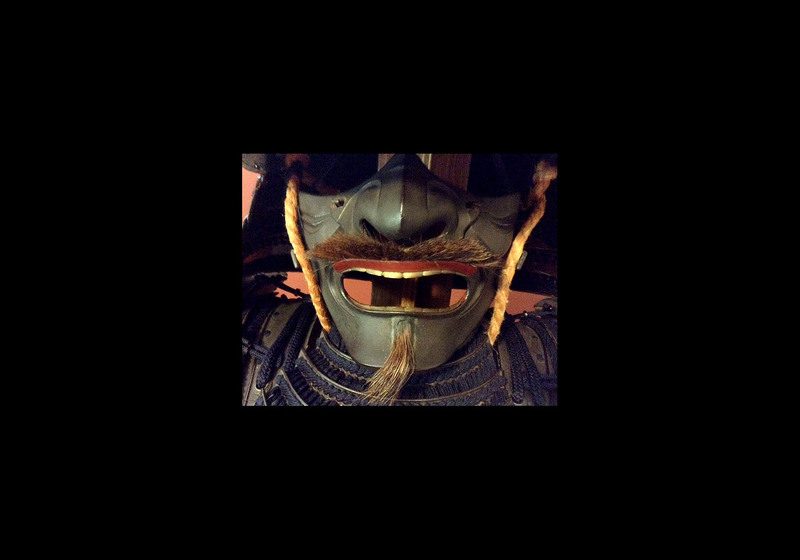 The russet iron menpo is well made and sports a fine horse hair mustache and goatee. 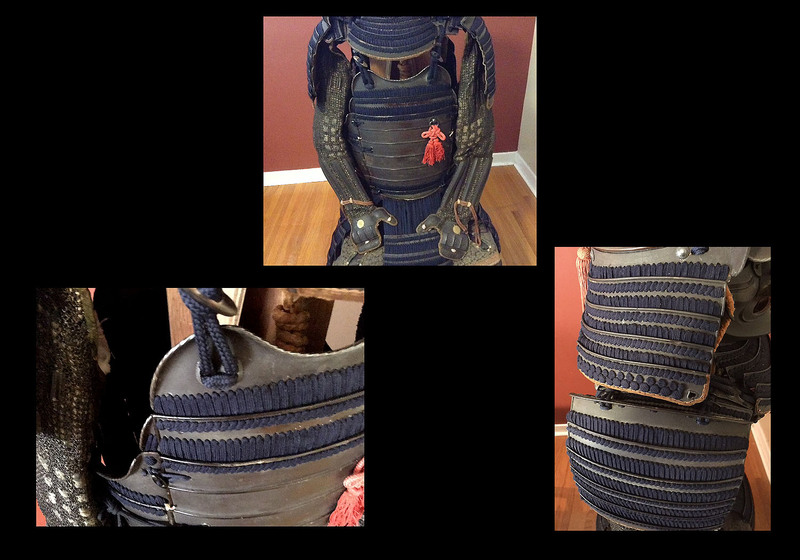 The yodara kake (throat guard), sode (shoulder guards), do and gessen (body armor) are all kebiki laced in a blue ito that is in excellent condition throughout the entire armor. 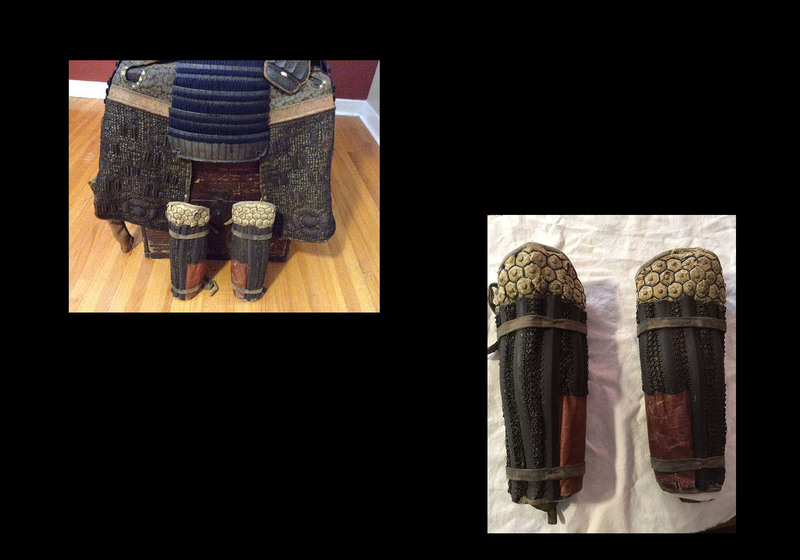 The kote (arm protection) and haidate (thigh protection) are covered with a finely made chain mail with inlaid iron plates of various shapes. 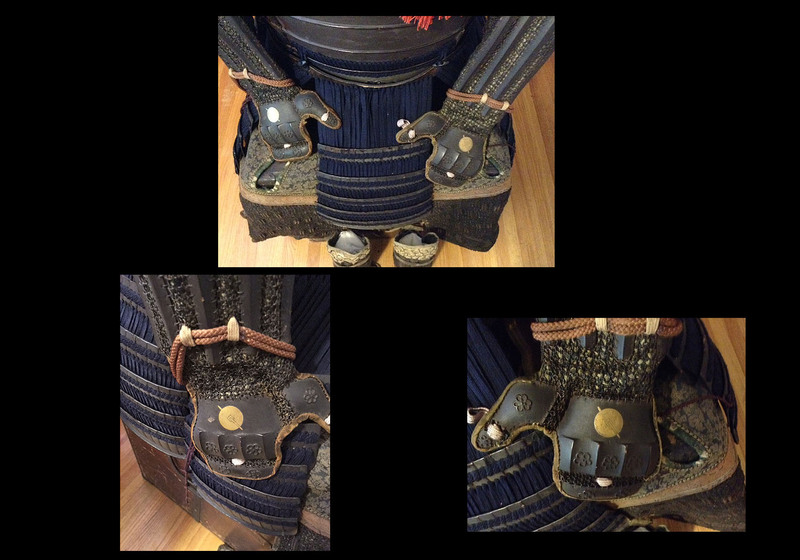 The hand protectors of the kote also bear the same family mon as is found on the fukigaeshi of the shikoro. 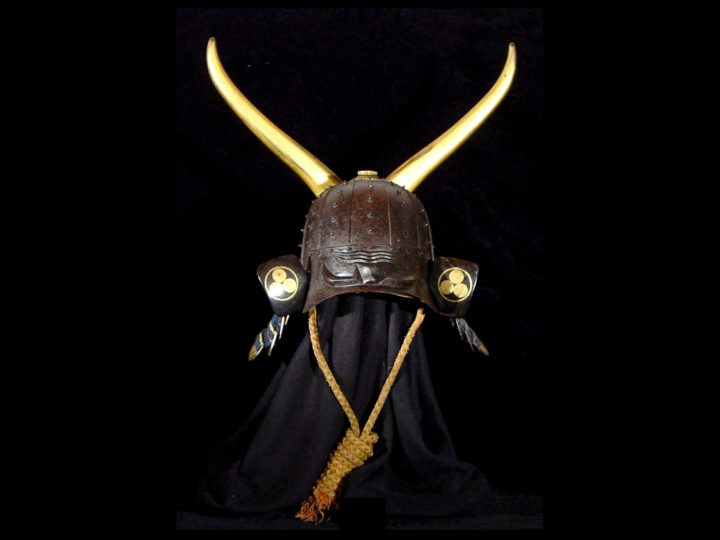 The sode also have inome (boar’s eyes) matching those on the shikoro. The suneate (calf protectors) have iron plates sewn into a thick fabric to protect the knees and iron plates and chain mail to protect the lower legs. The overall condition of the suit is excellent. 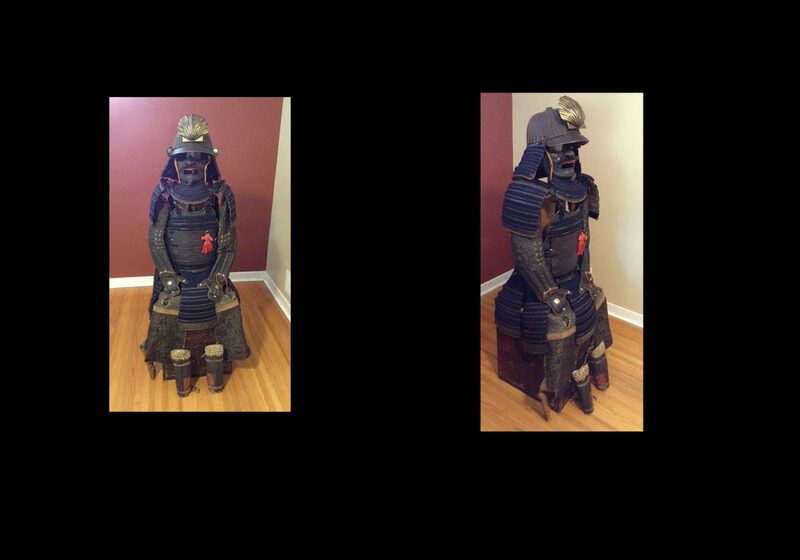 This suit comes with an armor stand and the old wooden storage box. 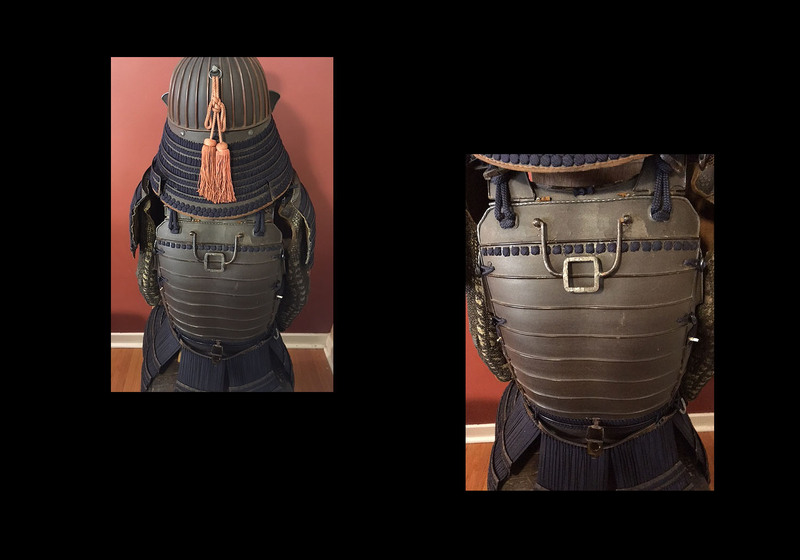 This is a fine set of matching armor that would enhance any collection.